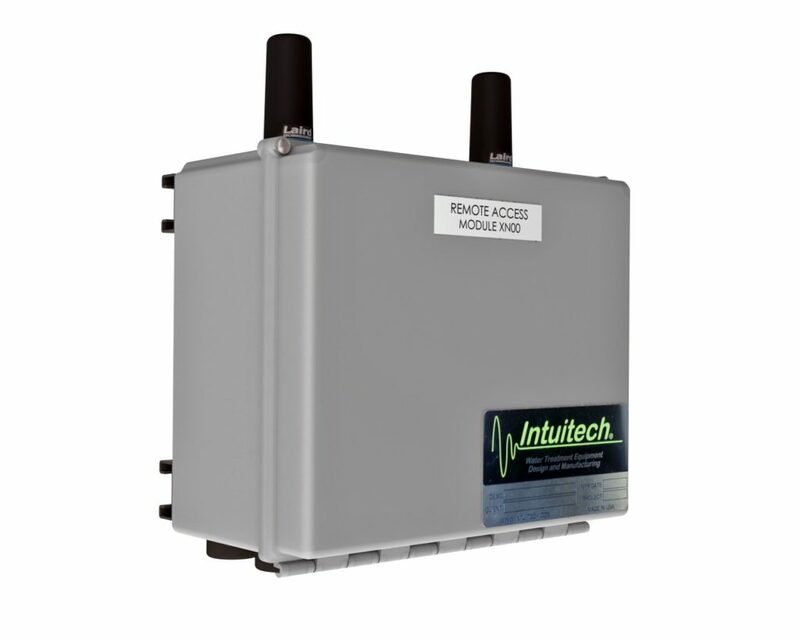 All Intuitech pilot plants come standard with web-enabled remote access that allows operators real-time access to the plant’s control system. This allows operators to monitor and control processes as well as access and manage data all over a secure internet connection. For remote locations where other broadband options aren’t available Intuitech now offers satellite and cellular internet services. Module consists of router, wireless modem, and two high-gain antennas. Allows our PLC-based leased equipment to be accessed and controlled over the web using a standard browser. Access is secure, requiring a username and password. The module can also be configured to send time and date stamped alarm text messages to email addresses or cell phones. Operation requires good cellular phone coverage at site.